Their responsibility is to equip God’s people to do his work and build up the church, the body of Christ. This will continue until we all come to such unity in our faith and knowledge of God’s Son that we will be mature in the Lord, measuring up to the full and complete standard of Christ (Ephesians 4:12-13 NLT). It is hard to believe that only one year ago, Kayo was recovering from a severely lacerated finger and wondering when (or if) she would be able to play musical instruments again. Not only has God made it possible for her to play the flute with the International Church Worship team once or twice a month, but her passion for music ministry has expanded in many new directions that we couldn’t have imagined one year ago. Ministry to Japanese Living in Cambodia: Kayo started hosting a monthly Japanese fellowship for Japanese missionaries and workers living in Cambodia. There are no Japanese language church services in Cambodia so unless the Japanese speak English or Khmer fluently, they have no way to worship and fellowship in their own language. Kayo has been leading the worship for these meetings with her keyboard and using her Bible Exposition background to lead the discussions. Recently a Cambodian family called Kayo in to help them prepare for the likely marriage between a Japanese man and their female relative. As more Japanese come to Cambodia the need and opportunities for Japanese ministries will increase. Ministry to Cambodian Women: When Benjamin started going to preschool, Kayo had more time to study the Cambodian language with Vanna, a committed Cambodian Christian college student. 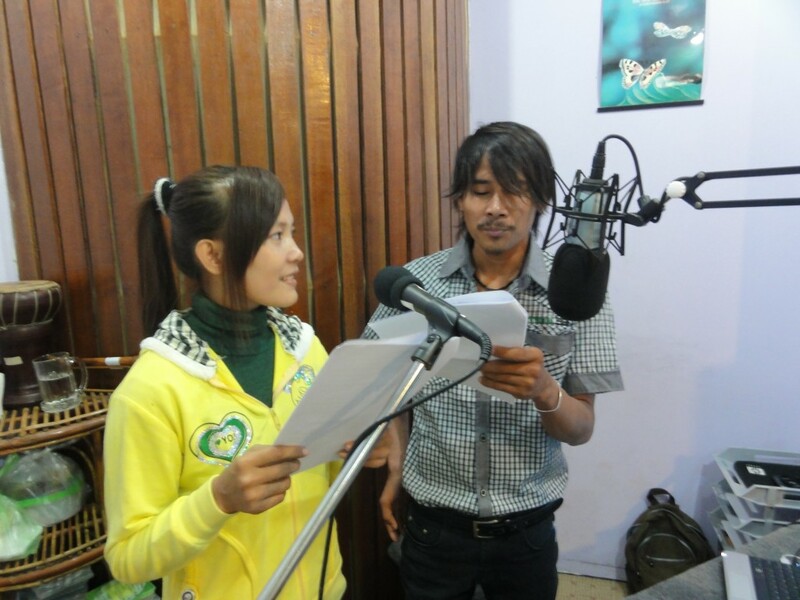 With Vanna’s help, Kayo has been learning to sing and play Cambodian-language worship songs. With her rapidly improving language skills she has started leading Bible studies and worship in Khmer for Cambodian women at Precious Women Ministry. Precious Women Ministry provides job training and counseling to women to help them to come to know Christ and prepare to pursue better careers. Teaching Christian Apologetics: Darryl has been invited to teach the first Christian Apologetics classes to MDiv. students at the Cambodian Presbyterian Theological Institute, founded by Korean missionaries. Darryl will teach a 3-hour weekly course starting on September 2. Even though there are many Korean professors with doctorates in theology, since they have not been specifically trained in Christian Apologetics, they have asked Darryl to teach. Darryl is looking for opportunities to train missionaries and Cambodian pastors in Apologetics so that they can take over the teaching duties in the future. Apologetics Resource CDs and DVDs are finally available. as part of the Anchors of Faith radio program on FEBC’s 99.5 FM. The CD also includes the English and Khmer scripts for the Truth talks, Darryl’s 2 MP4 videos (Life: Creation or Accident and Jesus: History or Fictions), and the video scripts. The DVD version “Christian Apologetics Resources for Pastors and Missionaries” includes all of the CD contents plus the 26 half-hour Anchors of Faith radio programs, high resolution video files for use with LCD projectors, and 14 of Darryl’s Christian Apologetics PowerPoint presentations. With this DVD and Darryl’s books, a pastor or missionary should have enough material to teach a basic Christian apologetics course on their own. 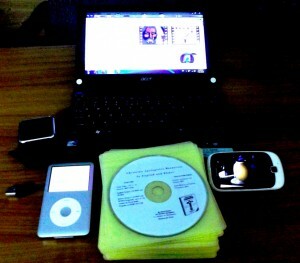 Darryl encourages Christians to copy these discs on their computers and download them on their phones and other equipment so that they can have these tools at hand when they have an opportunity to share the Gospel. Darryl often repeats this phrase, “Those who have the answers (pastors and missionaries) usually don’t have the best opportunities and those who have the best opportunities (new Christians) usually don’t have the best answers. When someone first becomes a Christian, their families and friends ask them many questions. However, when someone becomes a pastor or missionary, no one wants to ask them questions. Through media, it is possible for the pastors and missionaries to equip the new Christians with the tools that they need to help them to answer the difficult questions and challenges posed by their non-Christian loved ones. Having the tools in their hand to help them, when they don’t know what to say, can boost their confidence so that they can share their faith more frequently instead of running away from God-given opportunities. Lord willing, Darryl will be able to add more videos and recordings to this collection and to start distributing it through other means such as via the Internet. Please pray for Rev. Heng Cheng, TIC’s President’s rapid recovery. He has had some serious heart-related health problems. After being hospitalized in Cambodia, he is now in Vietnam seeking additional treatment. His recovery is very important to TIC’s development, registration, and accreditation processes. We are blessed that a Cambodian Christian man, Kimhong, could join TIC as a full-time logistics specialist. He has only been working one week but he has been a great help to Darryl. He can help with marketing, bookkeeping, setting up the library, communication, and purchasing. We are preparing to launch a 2-week Japanese class from August 13-23 from 5:30-7:30 PM. 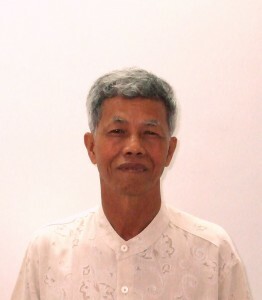 Mr. Tamura, a university teacher from Japan will come and teach. Darryl is planning to take the course as well to help him communicate better with Kayo’s parents and our senders in Japan. Thank you for your prayers, encouragement, and generous investment in His Kingdom. I am VERY interested in this culcrruium. I am a public school teacher, I believe that my mission is to get into the school and help those children that parents are not, and provide them Godly information. I am in charge of 5th grade Science and Math to me these subjects BOTH POINT to God, logic and thinking. We are to love Jesus with all of our heart, soul and MIND. I do have my own children, yes they go to public school. But my husband is a Ratio Christi appologist, and works with college students- and our own children- to be able to defend our faith. We talk with them daily to combat any errors in the teaching that they recieved and errors in their own thinking. I do have a question In the culcrruium does it teach young (6,000 year old) earth or a million year old earth? THIS is an important question for me.Thank you! Have a blessed day. Sorry that it took so long to reply to regarding your e-mail to http://www.sgwm.com/record on August 4. It is great that you are a public school teacher who wants to be an ambassador for Christ in your profession. I recommend that you check visit https://answersingenesis.org/kids/answers/ and http://www.christiananswers.net/kids/. Personally, I prefer the young-earth Creation theory. However, when I am writing or producing materials for non-Christians I focus on the evidence of design that points to the Creator at the beginning. Then I move on to evidence for the Bible, Jesus, and Salvation. Once these foundations are in place it is much easier to address the age of the earth question because unless someone respects the Bible as the inerrant Word of God they are unlikely to accept the evidence for a young-earth because of the evolutionary (millions of years) prejudices in secular education. Bottom line, the most important thing is for people to know the one WHO Created them. Once they know Him, they can seek answers about the WHEN and HOW.